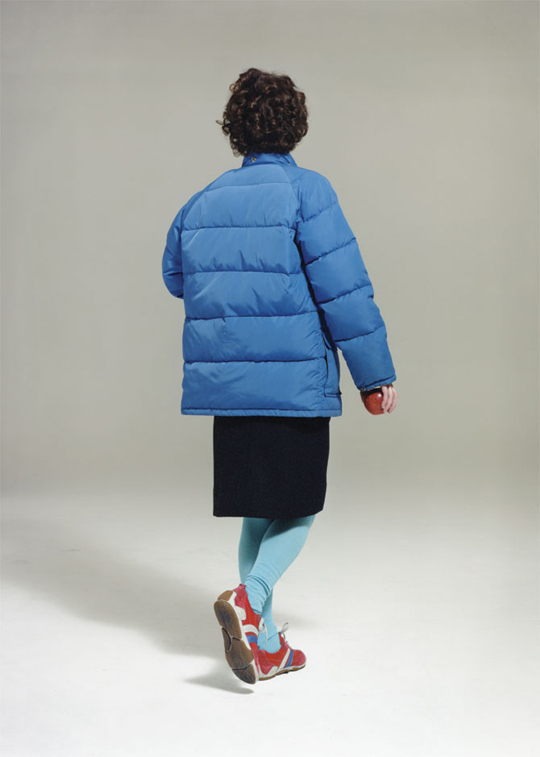 I did a phone interview with Miranda July (of Me and You and Everyone We Know fame) about ten minutes ago, for a ‘piece’ I’m ‘writing’ in ‘i-D Magazine’ about her new film The Future. I’m not very good at phone interviews and did my fair share of nonsensical rambling during our half-hour chat, but she’s very nice and helpfully covered up any awkward silences with polite, affirmative noises. While doing a spot of research on her awesome personal site earlier today, I also stumbled upon an amazing series of images she made with photographer Roe Ethridge for the Vice Film Issue a few years back, in which they intricately recreated the poses of background artistes from iconic movies such as Kramer vs. Kramer (above), Vertigo and Dog Day Afternoon. Needless to say, there’s something quite magical about the whole thing.